Now, be warned...when I say easy, I mean easy. This scarf doesn't even involve any sewing! My dorm made these for homeless people as part of our service challenge. (It's my school's 125th anniversary, and we've been challenged to perform 125,000 hours of service this year.) This scarf was fun to make and very easy. It would be a great project to do with a youth group or a bunch of small children or anywhere there are a lot of people who don't know how to sew. Step one: Cut two long rectangles of fleece. The idea is for them to be the same width, but it doesn't have to be exact. The ones in my photos aren't, and you can't tell. Our experiments showed that a width of about a foot is good, but again, pretty much anything over 6 inches will work. 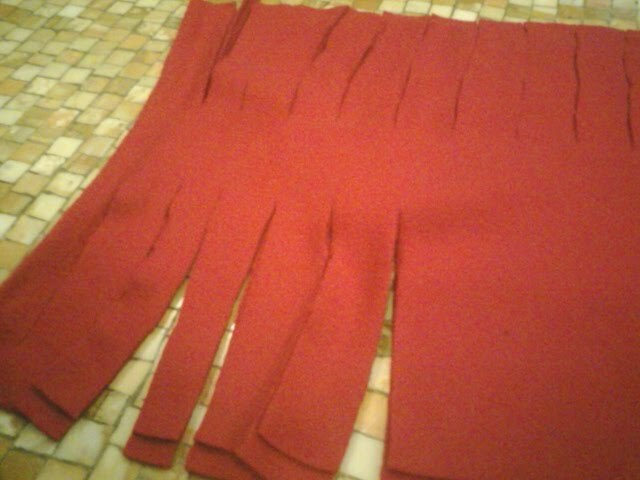 Step two: Starting along a long edge, cut slits into the fleece. 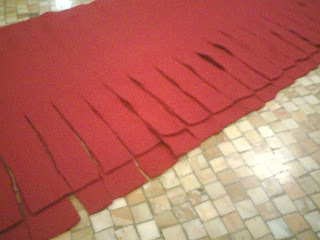 These slits should go slightly less than halfway across the fleece, through both layers. 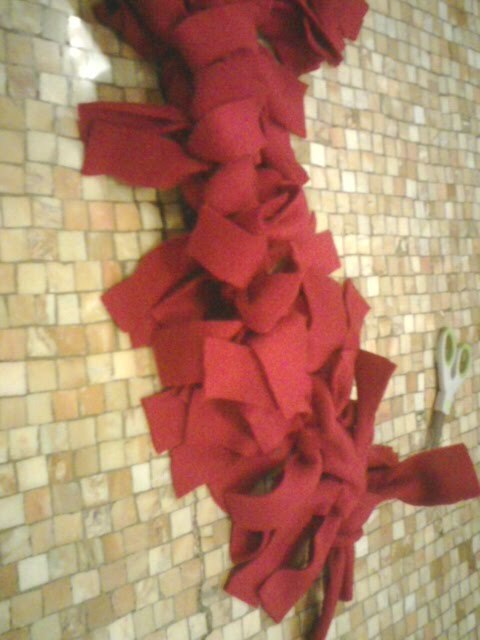 There are no more steps--once all the knots are tied, you're done! 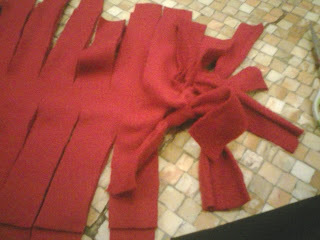 This is the second scarf I finished. They were all the same color, so I didn't bother to take a picture of the first one. What a great idea! I've got so much fleece these would be perfect.